Check these sites out ! Sorry it has been soo long since I last posted. Life kinda got in the way. I have been busy though. I have been attempting to validate all my links to make things a little easier for y'all. Basically there will be an Excel workbook that will be in the "Downloads" section. This will list all the downloads I have validated and their links as of July 2017. The categories are basically the same as what is currently on the Downloads page, just ALL in one Excel Workbook. I will make every effort to update this Workbook as I collect more articles, reports and PDF's of interest. My next step is to clean up the web site a bit and then I will start posting articles, at least once a month. It is quickly approaching harvest season and things will be getting hectic here, but I will do my best to keep this up to date. I owe y’all an apology. Between my health and the learning curve of my non-urban location, I have been remiss in keeping up with my posts. However, I have not been idle. First, the rest of “Finding Money for Preparedness and More”, I will be posting the completed article as a download link to get everyone caught up. Second, I have discovered that several of my favorite sites no longer exist. I will miss them greatly and am glad that I saved what I did from these sites. To the people who ran those site – I hope and pray that you are well and still living the self-sufficient, prepared life with success. Thirdly I will start the "reconstruction" of this site. The ultimate end result will be fewer links and more “Master Link” documents that you can use to gather the information you desire. I have been validating the links I have posted and the many documents I have accumulated directly from the web, over time, via “File, Print, to PDF” (the PDF converter being the designated printer). Well my first year out in the boonies has been an eye-opener and as such I apologize for the delay in posting. Keep tires properly inflated. It keeps you safe and costs less on gas. For every two PSI that all of your tires are below the recommended level, you lose 1% on your gas mileage. Most car tires are five to ten PSI below the normal level, so that means by just airing up your tires, you can improve your gas mileage by up to 5%. Clean your car’s air filter: A clean air filter can improve your gas mileage by up to 7%, saving you more than $100 for every 10,000 miles you drive in an average vehicle. Plus, cleaning your air filter is easy to do in just a few minutes – just follow the instructions in your automobile’s manual and you’re good to go. Don’t speed: Not only is it inefficient in terms of gasoline usage, it also can get you pulled over and cost you a bundle, as I discovered a while back. It’s highly cost-efficient to just drive the speed limit, keep that gas in the tank, and keep the cops off your tail. Get tires from Costco, Sam's or other wholesale clubs. Simply put, they cost a lot less than buying them at the dealer or even a chain tire store. Drive a different route to work: This is an especially powerful tip if you find yourself “automatically” stopping for something on the way into work or the way home. Get rid of that constant drain by selecting a different route that doesn’t go by the temptation, even if the new route is a bit longer. You’ll still be time ahead (because you’re not stopping) and you’ll definitely be money ahead. Drive your car longer. The buy new versus used debate often overlooks the most important factor–how long you own your car. Drive it as long as you safely can for substantial savings. Go for reliability and fuel efficiency when buying a car: A reliable and fuel efficient car will save you thousands over the long haul. Let’s say you drive a vehicle for 80,000 miles. If you choose a 25 miles per gallon car over a 15 miles per gallon car, you save 2,133 gallons of gas. At $3 a gallon, that’s $6,400 in savings right there. Reliability can pay the same dividends. Do the research – it will pay off for you. Also purchasing a vehicle that is manufactured and assembled in the US is cheaper to repair and maintain than a vehicle that is not. When buying a car, go for late model used: These are typically cars coming straight off of leases, meaning they were cared for by reliable owners. My truck was purchased with this criteria and has lasted me several years already with only one significant issue – and I saved a ton of money on the purchase price over buying new. Only now is it beginning to show significant signs of aging – and with the money I saved on that purchase, I was able to get out of debt that much quicker. When buying a car, avoid gadgets: Gadgets and electronics add complexity and weight to the vehicle. The more weight the less gas mileage and the more electronics, the more costly the fixes are. Buy your car over the internet: Search the internet for information on the car you want and then send e-mail requests to dealers for the best price. Even if the dealer is located in another state, the cost to have the car delivered may still be worth it. I paid $500 to have a Honda Odyssey shipped 500 miles and still saved $1,000 over the best local price available. Carpool: Is there anyone that lives near you who works at the same place (or near the same place) that you do? Why not ride together, alternating drivers each day? You can halve the wear and tear and gas costs for your car – and for your acquaintance as well. Take public transportation: If the city’s transit system is available near you, take it to work (or to play) instead of driving your car. It’s far cheaper and you don’t have to worry about parking your vehicle. In larger cities, an annual transit pass will often pay for itself after less than two months of use compared to using an automobile any use after 2 months is like riding for free. That’s money in the bank. Take fewer cab rides: Using public transit instead of cabs can save you $5-10 per trip or more. If you're a frequent cab user, the savings could complete ly fund your emergency savings account. Check all airlines for cheap fares: Since no website lists all discount carriers, also check out the websites of discount carriers like Southwest and Jet Blue, possibly saving you hundreds of dollars. - Remember too that if you travel Tuesday, Wednesday or Thursday and have at least 7 days before your return flight, the fares are usually lower than traveling on Friday, Saturday, Sunday or Monday and returning in less than 7 days. Also one way flights tend to be more expensive than round trip. Fall is a season of change. The plants shed leaves and animals store up food in preparation of the coming winter. No matter if we live urban, suburban or rural, fall is the time to be sure that our homes and vehicles are ready for winter. 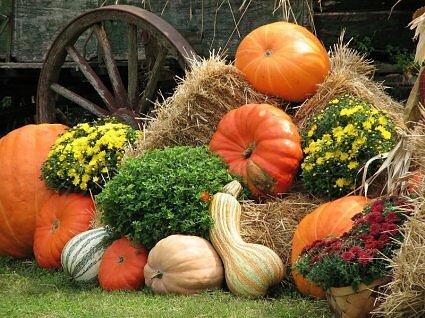 For those of us who homestead, fall is very busy; what with the harvest, winter cover crops, food preservation and stocking as well as vehicle, equipment and building preps for the tough winter season. Keep in mind that having a well-insulated home, with a strong thermal envelope, that seal of the outer walls that inhibit any air and temperature exchange between inside and outside, is a major money saver! The stronger the thermal envelope, the easier and cheaper it is to heat or cool your home’s interior. Second to this energy saver is having a home with good air flow so the heating and cooling equipment doesn't have to work double time to keep the temperature you want. This means having as few doors, windows, halls, walls and archways (door to double door width) as possible. Hit the library – hard! Don’t look at a library as just a place to get old books. Look at it as a free place to do all sorts of things. I know people who have used the library to learn a foreign language, meet people, use the Internet anonymously, check out movies and CDs, grab local free newspapers, and keep up on community events. Best of all, it doesn’t cost a dime. Read more: Reading is one of the cheapest – and most beneficial – hobbies around. Most towns have a library available to the public – just go there and check out some books that interest you. Then, spend some of your free time in a cozy place in your house, just reading away. You’ll learn something new, improve your reading ability, enjoy yourself, and not have to spend a dime. Read magazines at the library or online. Too many magazines can cost a fortune. And how many times have you bought a magazine based on the cover and been disappointed by the lack of substance. At the library you can read magazines for free. And many magazines now offer their content for free online. Borrow or Swap books, CD’s & DVD’s rather than purchasing them: Borrowing books and reading magazines at your local library, rather than purchasing reading material, can save you hundreds of dollars a year. Try a book swap where you can get credit for books you turn in and apply to books you are “purchasing” to read. Research free or inexpensive entertainment in your community: Use local newspapers and websites to learn about free or low-cost parks, museums, film showings, sports events, and other places which you and your family would enjoy. o Check out what your town’s parks and recreation board has to offer: My town has several wonderful parks, free basketball and tennis courts, free disc golf, trails, and lots of other stuff just there waiting to be used. You can go have fun for hours out in the wonderful outdoors, playing sports, hiking on trails, or trying other activities – and it’s all there for free. All you have to do is discover it. o Dig into your community calendar: There are often tons of free events going on in your town that you don’t even know about. Stop by the local library or by city hall and ask how you can get ahold of a listing of upcoming community events, and make an effort to hit the interesting ones: You can often get free meals, free entertainment, and free stuff just by paying attention – even better, you’ll get in touch with what’s going on around you.o PaperBackSwap.com allows you to list books you’d like to swap with other members. They boast over 4.5 million available books, and books are mailed to you for free. o It doesn’t get much better than Amazon.com . They have just about every book imaginable, and you can buy almost all of them used. o Swaptree.com has a cool service that allows you to trade your books, CDs, and DVDs with others online. The service is free, the only expense is the shipping cost of your item. o SwapADVD.com is similar to PaperBackSwap.com, but it’s for DVDs! Watch your favorites and discover more with this simple DVD exchange service. The cost is just about as low as you can go. Get rid of unread magazine subscriptions: Do you have a pile of unread magazines sitting around your house? Likely, it’s the result of a subscription that you’re not reading. Not only should you not renew that magazine, you should give their subscription department a call and try to cancel for a refund – sometimes, they’ll give you the prorated amount back. I’ve had to cull my subscriptions in the past, but I’ve never regretted it. Subscribe to magazines that are must reads. If you must have a certain magazine each month, subscribe. Subscriptions offer substantial savings over the cost at the newsstand. Update: Amazon offers some great deals on personal finance magazines . Cancel unused club memberships: Are you paying dues at a club that you never or rarely use? Like, for instance, a gym membership or a country club membership? Cancel these club memberships, even if you think you might use them again someday – you can always renew the membership at a later date if it turns out that you actually do miss it. Cut down on your vacation spending: Instead of going on a big, extravagant trip, pack up the car and see some of America some years for vacation. One of the best vacations I’ve ever taken was when my son was an infant – we just packed up the car and drove around Minnesota, eventually camping for a few days along the north shore of Lake Superior. For a week long relaxing vacation, it was incredibly cheap and quite memorable, too. Eliminate some cable service: Note that I’m not recommending getting rid of cable completely, although that’s certainly a way to save money. If you must have cable, take a look at all the charges on your cable bill and consider getting rid of some of the service. Try it for a month and see if you really miss those last 500 channels. o Give up premium cable channels or better yet, cable all together. It's a lot cheaper to rent one film a week than watch one on premium cable channels that may cost more than $500 a year. o Slow down your internet service: A friend of mine went to the slower internet service option with their cable company and saved $15 per month. He claims he hasn't noticed a difference when surfing the Net. Consider MythTV PVR in replace of TiVo type services. A friend just ran across MythTV and although still investigating it, they like it so far. He pays $15 a month to his cable company for a DVR box and would love to save that money. Don’t go to stores or shopping centers for entertainment: Doing so is just an encouragement to spend money you don’t really have on stuff you don’t really need. Instead, find other places to entertain yourself – the park, the basketball court, a museum, a friend’s house, or even in your own home. Don’t substitute shopping for entertainment and you’ll be way better off. Don’t spend big money entertaining your children: Most children, especially young ones, can be entertained very cheaply. Buy them an end roll of newspaper from your local paper and let their creativity run wild. Make a game out of ordinary stuff around the house, like tossing pennies into a jar, even. Realize that what your children want most of all is your time, not your stuff, and you’ll find money in your pocket and joy in your heart. This year for National Preparedness Month at least define what in your area puts you at risk. 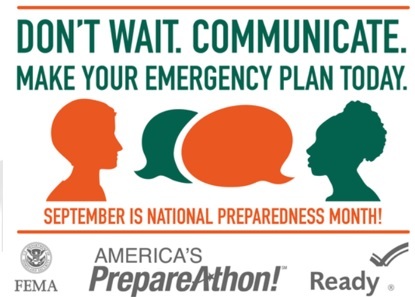 Yep another year has passed and we are looking at another National Preparedness Month (NPM). It was first sponsored by the Federal Emergency Management Agency (FEMA), under the Department of Homeland Security (DHS) in 2004. Its stated purpose is to encourage American citizens to take steps to prepare for emergencies in their homes, businesses, schools and communities and is but one part of a governmental effort to strengthen the United States' preparedness capabilities. The US national preparedness architecture encompasses prevention, protection, response, and recovery efforts to prepare the United States for all hazards – whether terrorist attack, human caused or natural disaster. It is funded through various annual “budget bills”, such as the National Defense Authorization Act (NDAA), as well as from the Department of Justice and Department of the Interior, to name a few. Each year there is a different theme to try and get people involved. This year (2015) it’s: Don't Wait. Communicate. Make Your Emergency Plan Today. What are the various risks and hazards that we might see? 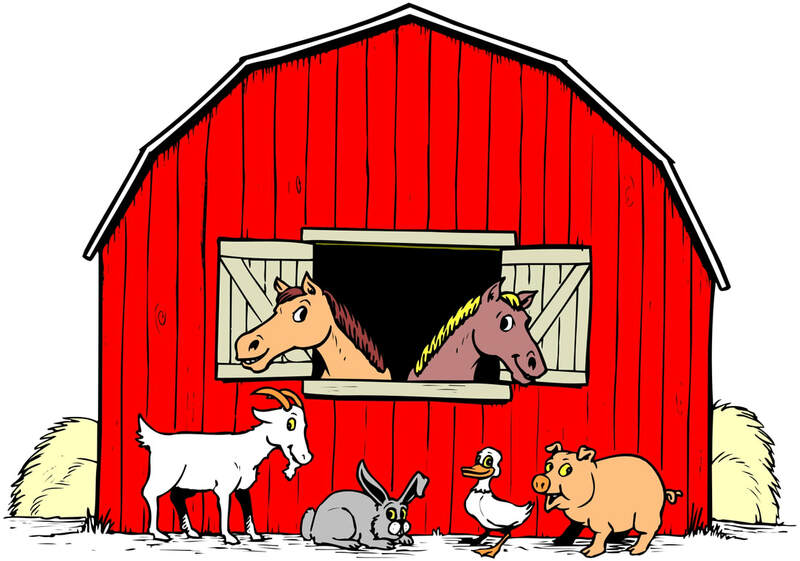 Or in essence, what are the odds of various things occurring where we live? Obviously there are some areas more prone to certain types of risks, hazards or crises than other areas. The “Ring of Fire” around the Pacific Ocean is more likely to see volcanoes and earthquakes, as well as Tsunamis. The desert southwest is more prone to drought, flash floods and dust/wind storms. We all know about the central US and central-southeast states and their potential for tornadoes and severe thunderstorms with straight line and micro/macro wind bursts. The Eastern coastal areas (Atlantic and Gulf), and to a lesser extent the west coast, are known for their hurricane and tropical storm potential and storm surge. The Great Lake states are known for Nor’easters and Lake Affect severe storms, both snow and thunderstorms. While other states are known for sink holes and others still for wildfires and landslides. What crises are we most likely to be a close part of during our lifetimes? Fire, to our home with us home or not, or to our schools, stores or work places and wild/forest/brush fires. Crime, home invasion, burglary, while home or not, or to someone in our household while out and about. Illness or Injury to a member of our household. Personal Financial Crisis of some sort to a member of our household. Hence, it goes without saying that the first step to ANY preparedness plan is to figure out just what your area is most vulnerable to. Now there are some places that can give you “quick views” or “dashboards” and such to keep you posted on these types of hazards, including the National Weather Service’s Weather Radio. Some even offer text and email messaging of alerts and warnings. A good rule of thumb it to utilize multiple information and notification sources. The Earth Observatory Global Maps National Aeronautics and Space Administration's (NASA's) Earth Observatory is part of the EOS Project Science Office located at NASA Goddard Space Flight Center, tracks things like ambient air and ocean temperatures, the ozone layer and such. The Disaster Center The Disaster Center provides online coverage of disasters in the United States, compiling and providing links to disaster related statistics and studies, on all kinds of natural and human-caused disaster threats. Nature's Fury NaturesFury.net is a premier Internet source for natural disaster preparedness and research, education, alerts, warnings and other resources and news. Global Incident Map GlobalIcidentMap.com Tracks And Maps Terrorism Incidents And Other Suspicious Activity, Hazmat Situations, Amber Alerts, Gang Activity, Major Drug Interdictions, H1N1 Swine Flu, Plane Crashes, Threats To The President/White House, Forest Fires, etc.. For a fee and subscription to the site, you can receive full map details, alerts and warnings. Other sites will deal with particular types of crises, like crime, invasive species or crop blights. Keep in mind most crises are not like hurricanes where you have days to prepare, the average “crisis” won’t give you much more than a 15 minute notice! Hence the need to Be Prepared no matter where you are. On top of that, governments are so bureaucratic and hence cumbersome, that getting help quickly is a bit of a stretch. In the US, it’s a wonder that organized help arrives within 5 days, yet alone 3! If you do nothing else for preparedness this month, at least find out what your area is at risk for and make some contingency plans to hold you and yours safely through at least 5-7 days without governmental or outside organized help. To help you with this task, check out the rest of this article, which is filled with graphics and links. Both of these tables are sorted by the most likely to occur to the least likely to occur. I know all these tables are kind of “dry” and “dull”, so I have broken them up with some related graphics. Through all of this keep in mind that research has rarely, if ever, been known to be quick or easy. I’m helping you out here by sharing the results of all of my research to date. Again, if you do nothing else this month, take the time to check out these documents and determine what kind of risks your area is susceptible to. Agree to limit gift giving: Agree in advance to limit the gifts and save everybody some money. These limits not only tend to reduce expenditures; they will also be greatly appreciated by the least affluent family members and friends. Make your own gifts instead of buying stuff from the store: You can make food mixes, candles, bread, cookies, soap, picture frames and all kinds of other things at home quite easily and inexpensively. These make spectacular gifts for others because they involve your homemade touch, plus quite often they’re consumable, meaning they don’t wind up filling someone’s closet with junk. Even better – include a personal handwritten note with the gift. This will make it even more special than anything you could possibly buy down at the mall, plus it saves you money. Give a gift of a service instead of an item: Right up there with DIY gifts! Take a mason jar and fancy it up a bit. Print off your own specialty "coupon", say "two hours of babysitting time" for any new parents on your list, or "two hours of yard work" for a new homeowner, "Pet Sitting" for a friend who has the chance to travel and the like. Plan gift-giving well in advance. That will give you time to decide on the most thoughtful gifts, which usually are not the most expensive ones. And if these gifts are products that must be purchased, you will have the opportunity to look for sales. I keep all my wrapping paper and gifts in one closet. I shop year round, so when I get home I can wrap the gift and put the gift card on it. I often select “non-specialty” wrapping paper so the gift can be used for Christmas, birthday or anniversary. Invite friends over instead of going out: Almost every activity at home is less expensive than going out. Invite some friends over and have a cookout or a potluck meal, then play some cards and have a few drinks. Everyone will have fun, the cost will be low, and the others will likely reciprocate not long afterwards. Encourage your friends to do less expensive activities: This can be tricky to do, however if you are the first to suggest an activity, like say going to a park and shooting hoops instead of going golfing with its green fees, you save money and still get that socializing time in. Same holds true with suggesting low to no cost community events. Cards and Gift Wrap: Buy greeting cards in bulk at the Dollar store or the party store. This will help you to save a lot of money and you won’t have to make an extra trip every time you need one. o BlueMountain.com has a number of cards you can send to save you money while celebrating birthdays, anniversaries, and more. o FreePrintable.com lets you print out all kinds of goodies to help you save money including cards, calendars, worksheets, coupons, and more! It’s fun to print your own products, give it a shot! Assess clothing in terms of quality as well as price: An inexpensive shirt or coat is a poor bargain if it wears out in less than a year. Consider fabric, stitching, washability and other quality related factors in your selection of clothes. Assess clothing in terms of care: Avoid clothing that requires dry cleaning, special washing that your washer is not capable of doing or must be ironed to look nice. Simplify your wardrobe: Don’t buy clothes that will only work as one outfit. Look for clothes that you will be able to wear with many other things, creating multiple outfits. Instead of buying that green and purple striped coat that will only go with one or two outfits, you could get a solid color gray that will work most of what you wear. Spend less money on the trendy items that won’t be in style long, and spend more on quality items. Clean clothes inexpensively: Wash and iron clothes yourself. If you use a cleaner, compare prices at different establishments. A 50 cent difference in cleaning a shirt, for example, can add up to $100 a year. Hang Up & Air Out: Americans wash their clothing more frequently than any other nation. Washing breaks down fabrics and thread so the more we wash something, the less it lasts before needing to be replaced. If you hang up and air out that shirt, skirt or pants immediately after any light use, you will not need to wash it each and every time it is worn. Mend and Repair: Don’t toss out a shirt because of a broken button – sew a new one on with some closely-matched thread. Don’t toss out pants because of a hole in them – put in a patch of some sort and save them for times when you’re working around the house. Simple sewing can be done by anyone – it just takes a few minutes and it saves a lot of money by keeping you from buying new clothes when you don’t really need to. Learn how to dress minimally: Buy clothes that mix and match well and you’ll not need nearly as many clothes. If you have five pants, seven shirts, and seven ties that all go together, you have almost an endless wardrobe right there just by mixing and matching. Look for sales at discount outlets: There are huge price differences between clothing on sale at discount stores and that sold regularly at many department and specialty stores, though keep in mind that prices at the latter are often deeply discounted. Go through your clothes – all of them: Go through everything that you have in your closets and dressers, and see what you might find. Get rid of anything you haven't worn in the past year and will not wear in the next year, along with anything that no longer fits and is not of sentimental value. You can have a yard sale with it, take it to a consignment shop, or even donate it for the tax deduction – all of which turn old stuff you don’t use any more into money in your pocket. This is often a huge psychological load off you mind. Take the clothes at the back of the closet and bring them to the front and suddenly your wardrobe will feel completely different. Take the clothes buried in your dresser and pull them to the top. Check the insulation in your home: Extra insulation can easily pay for itself in one or two years, and it helps save the environment, too. Install a programmable thermostat: These devices regulate the temperature in your house automatically according to the schedule that you set. Thus, when you’re not home, it allows the heating or cooling to turn off for several hours, saving you on your energy bill. A programmable thermostat can easily cut your energy bill by 10 to 20%. Nest is the new generation programmable thermostat that learns and connects to WiFi so it can be controlled remotely, great if you travel a lot, just remember ANYTHING WiFi is a security risk and trackable by hackers or government types. Lower the temperature on your thermostat in the winter and raise it in the summer. For every degree that you lower your home’s temperature during the cooler months, you can subtract about 5% from your bill. Convert to a gas or solar water heater: They are more efficient and will save you money in the long run. Add extra insulation to your water heater. If you have a water heater built before 2004, you can wrap it with an insulating jacket and save about $30 a year on your water heating bill. Water Use Savings - Fix Leaks: You can significantly reduce hot water use by simply repairing leaks in fixtures -- faucets and showerheads -- or pipes. A leak of one drip per second can cost $1 per month. Water Use Savings: If you pay for water use, live in an arid or drought area, installing low-flow fixtures and aerators will save water and money. Aerators for faucets and showers require an initial capital investment, but they often pay back the investment in less than a year, especially when they are used often. Water Use Savings - Faucets: The aerator -- the screw-on tip of the faucet -- ultimately determines the maximum flow rate of a faucet. Typically, new kitchen faucets come equipped with aerators that restrict flow rates to 2.2 gpm, while new bathroom faucets have ones that restrict flow rates from 1.5 to 0.5 gpm. Aerators are inexpensive to replace and they can be one of the most cost-effective water conservation measures. For maximum water efficiency, purchase aerators that have flow rates of no more than 1.0 gpm. Some aerators even come with shut-off valves that allow you to stop the flow of water without affecting the temperature. Water Use Savings - Shower heads: For maximum water efficiency, select a shower head with a flow rate of less than 2.5 gpm. There are two basic types of low-flow showerheads: aerating and laminar-flow. Aerating showerheads mix air with water, forming a misty spray. Laminar-flow showerheads form individual streams of water. If you live in a humid climate, you might want to use a laminar-flow showerhead because it won't create as much steam and moisture as an aerating one. Before 1992, some showerheads had flow rates of 5.5 gpm. Therefore, if you have fixtures that pre-date 1992, you might want to replace them if you're not sure of their flow rates. - Be aware: Those “luxury shower towers” or pie-plate-sized, monsoon-downpour-imitating fixtures are major water-wasters; they can use as much as 20 gallons of water per minute! - Using ultra-low-flow showerheads will also save you money on your energy bills, by reducing the demand on your water heater. According to the WaterSense program, a household could save 300 kilowatt hours of electricity annually, enough to power its television use for about a year. Water Use Savings - High-efficiency, Water Saving Toilets: Toilets are often the source of the most water use (and water wasting) within a home, accounting for nearly 30 percent of an average home’s indoor water consumption. If you have a toilet(s) that uses more than 1.6 gallons of water per flush (gpf)—as do almost all toilets installed before 1994. Dishwashers: It's commonly assumed that washing dishes by hand saves hot water. However, washing dishes by hand several times a day can be more expensive than operating an energy-efficient dishwasher. You can consume less energy with an energy-efficient dishwasher when properly used and when only operating it with full loads. Clothes Washers: Unlike dishwashers, clothes washers don't require a minimum temperature for optimum cleaning. Therefore, to reduce energy costs, you can use either cold or warm water for most laundry loads. Cold water is always sufficient for rinsing. Inefficient clothes washers can cost three times as much to operate than energy-efficient ones. Use cold water to wash your clothes and you can save 50% of the energy that you would use if you used hot water. Save the hot water washes for those really dirty items like workout clothing and towels. Shut vents in unused rooms: This isn’t advisable if you have forced air heating, but shutting vents in unused rooms can save on your heating and cooling bill. Use window coverings to block or let in sunshine: In summer, use these coverings to block sunlight, keeping your house cool. In winter, open the coverings to let sunshine warm the house. You could easily save more than $100 annually while being more comfortable. Switch to native and drought tolerant and native plants. Try edible landscaping or xeriscaping. Adjust your lawnmower to the 3-inch setting. They say that longer grass holds moisture longer, so you will not have to water as much. Do some basic home and auto maintenance on a regular schedule: Instead of just waiting until something breaks to deal with it, develop a monthly maintenance schedule where you go around your home (and your car) and perform a bit of maintenance where it’s needed. This little activity, taking you just an hour or two a month, will keep things from breaking down and help you see problems before they become disasters. Be diligent about turning off lights before you leave: If you spend one minute turning off lights before a two hour trip, that’s the equivalent of earning $50 an hour. That’s some impressive savings, particularly if you do it before longer trips. The key is to use less energy, particularly when you’re not using the device. Change out Incandescent bulbs where possible: The only choices here are CFL or LED. CFL are cheaper than LED, yet have mercury in them. CFLs tend to use about 25% of the electricity of an incandescent – LEDs use about 2%. Mix and match to lower costs; example: Put LEDs in closets and out of the way places, use CFLs for hall and some room lighting, and use incandescent bulbs (until the other bulbs get better) where you read and do other eye-intensive activities. This will trim a significant amount from your electric bill. Reevaluate the stuff in the rooms in your house – Do a Contents and Usage Audit: Go into a room and go through every single item in it. Do you really need that item? Are you happy that it’s there, or would you be just fine if it were not? If you can find stuff to get rid of, get rid of it – it just creates clutter and it might have some value to others. You also improve the perceived value of your house – and you’re likely to get a lot of cleaning done in the process. It’s a frugal win-win-win. For detailed information on Contents Audits see Can you Afford your House Lifestyle? Rent out unused space in your home: Do you have an extra bedroom that’s not being used? Rent it out. In our home, we could, if times were tough, rent out our entire basement – it has a “living room,” a bedroom, and a bathroom and has a stairwell right by the kitchen. If we found the right person, this would bring in a lot of extra money. Don't pay for space you don't need- Buy a smaller house: Americans have relatively large houses and apartments. Think about more efficiently using space so you can purchase or rent less square footage. For detailed information on Home Usage Audits see Can you Afford your House Lifestyle? Look for a cheaper place to live: The cost of living in a neighboring town may be lower than the town you currently reside in. In Maine a neighboring town was almost $800 per year cheaper in property taxes and $300 per year cheaper in waste management fees. Take a serious look about moving to a less expensive area – if you can find work there, then a move can definitely put you in better financial shape. Rural areas offer great deals as long as you are willing to travel for cultural opportunities and amenities. Request a discount on trash service. For some reason this is a highly competitive business. Not every area has municipal waste management. If you live where this is so, shop around for your waste management service. If you find a better offer for trash service, call your current trash company and ask them to beat the offer. Buy appliances based on reliability, not what’s cheapest at the store: It’s worth the time to do a bit of research when you buy a new appliance. A reliable, energy efficient washer and dryer might cost you quite a bit now, but if it continually saves you energy and lasts for fifteen years, you’ll save significant money in the long run. When you need to buy an appliance, research it – start with back issues of Consumer Reports at the library. An hour’s worth of research can easily save you hundreds of dollars. Buy energy efficient appliances: Look for the Energy Star on appliances and consider the annual energy cost before buying. More efficient appliances cost more, but you make up the extra cost and then some over the life of the product. Do a “maintenance run” on your appliances: Check them to make sure there isn’t any dust clogging them and that they’re fairly clean. Look behind the appliances, and use your vacuum to gently clear away dust. Check all of the vents, especially on refrigerators, dryers, and heating and cooling units. The less dust you have blocking the mechanics of these devices, the more efficiently they’ll run (saving you on your energy bill) and the longer they’ll last (saving you on replacement costs). Make sure all your electrical devices are on a surge protector power strip: This is especially true of your entertainment center and your computer equipment. A power surge can damage these electronics very easily, so spend the money for a basic surge protector and keep your equipment plugged into such a device. To combat vampire power use: Use a power strip to turn off all "instant on" devices. Basically anything with a remote is "instant on". The 40-50 average items in a home that pull vampire power add up to about 30% of the monthly electric bill. Understand if you do this that your TV remote won't work until you turn the TV's power strip on and instead of the picture coming up in 2-4 seconds it can take 5-7 seconds. I choose to avoid items like a "smart power strip". A device like the SmartStrip LCG4 basically cuts power to all devices on the strip depending on the status of the first item on the strip. So, if you have your workstation hooked up to this, every time you power down your workstation, your monitor powers down, your printer powers down, your scanner powers down, and so on. You can do the same thing with your entertainment console – when you turn off the television, the cable/satellite box also goes off, as does the video game console, the VCR, the DVD player, and so on. Although this can save you a lot of electricity and significantly trim your power bill, these devices are also "snooping" devices that report on your use of the devices plugged into it. Invest in a deep freezer: A deep freezer, after the initial investment, is a great bargain. Understand that any chest deep freezer will be cheaper to run than any upright deep freezer. (dah - cold air sinks, open the door on an upright and all the cold air falls out!) You can use it to store all sorts of bulk foods, which enables you to pay less per pound of it at the market. Even better, you can store lots of meals prepared in advance, enabling you to just go home and pop something homemade (and cheap) in the oven. 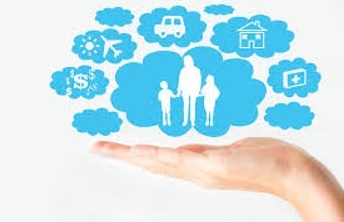 Re-evaluate your insurance coverage for home, contents, life, auto, boat, RV, etc. Determine if you are covered appropriately or not and adjust accordingly. Granted you may find you are under-insured somewhere, but better to find out before you make a claim, rather than after. Shop around for insurance: Before renewing your existing policies each year, check out the rates of competing companies (see the website of your state insurance department for for auto and homeowners' insurers). Their annual premiums may well be several hundred dollars lower. Depending on your needs it may pay to switch to Term Life Insurance. 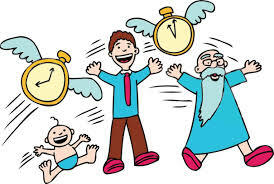 If your children are now on their own, or if your spouse works and the like, term life is the best bang for the buck. The annual premiums on a term life policy would typically fully fund an emergency savings account. Remember insurance is not an investment and in most cases, any life insurance product other than term, is just not worth the extra cost. Raise the deductibles on auto and homeowners' insurance: Being willing to pay $500-1,000 on a claim, rather than only $100-250, can reduce annual premiums by as much as several hundred dollars. Pass on extended warranties: A $129 two year extension on a $300 product is just not worth it. Warranties are insurance, and we rarely need to insure such a small amount. Think before submitting an insurance claim, call your insurance agent to discuss the impact to your premium is if you do file. Consider not submitting a claim on a loss that is less than twice the deductible. So for a $250 deductible on an auto loss, the out of pocket cost is any loss up to $500. Why? The $250 you'd receive from the insurance company is not worth the increased premiums you will likely have to pay. Pay car insurance semi-annually. Many companies offer quarterly and semi-annual, as well as annual payment options. The shorter the payment interval, the more it costs. Pay your life insurance annually. Insurance companies charge you more if you pay monthly. Again the shorter the payment interval, the more it costs. I am a 60 Something, no longer so urban or in NM ;-}; Former 60's Flower Child; don't believe in taxpayer subsidized special interest groups (political parties); DO believe in the Constitution and Bill of Rights (1st 10 the most); Long time Independent & Informed Voter; I believe in World Citizenship NOT world government; Lover of the outdoors and firm believer that History Teaches - if only we will listen!